Installation must be done with superuser privileges. If you are not using the root account (as default with Kali Linux), prepend commands with sudo or change to the root user before beginning. Your package manager may be different to apt. This file is responsible for installing all the dependences of Veil. This includes all the WINE environment, for the Windows side of things. It will install all the necessary Linux packages and GoLang, as well as Python, Ruby and AutoIT for Windows. In addition, it will also run ./config/update-config.py for your environment. --force ~ If something goes wrong, this will overwrite detecting any previous installs. Useful when there is a setup package update. --silent ~ This will perform an unattended installation of everything, as it will automate all the steps, so there is no interaction for the user. This can be ran either by doing: ./Veil.py --setup OR ./config/setup.sh --force. This will generate the output file for /etc/veil/settings.py. Most of the time it will not need to be rebuilt but in some cases you might be prompted to do so (such as a major Veil update). Don't panic. Run either: ./Veil.py --config OR cd ./config/; ./update-config.py. NOTE: Using Py2Exe is recommended over PyInstaller (as it has a lower detection rate). 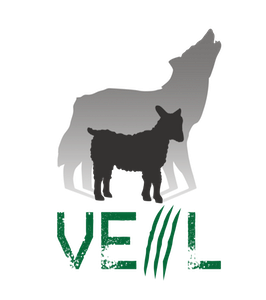 Veil is a framework containing multiple tools. --msfvenom          Metasploit shellcode to generate (e.g.